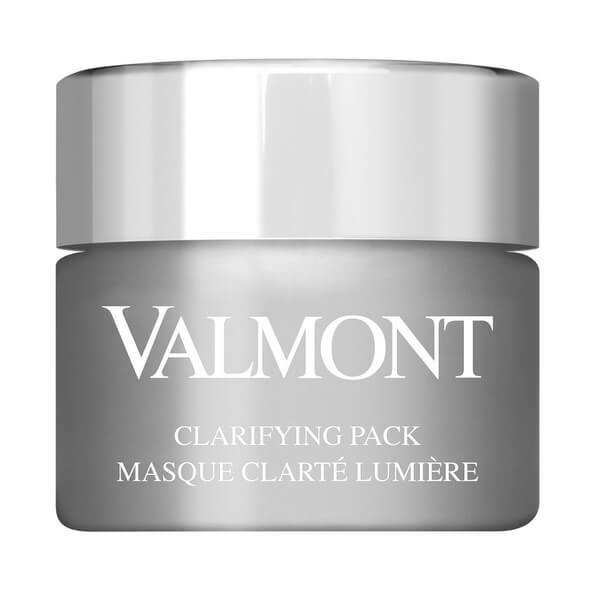 Reveal a bright and radiant complexion with the Valmont Clarifying Pack Illuminating Mask; a clarifying cream-mask that offers instant and long-lasting results. 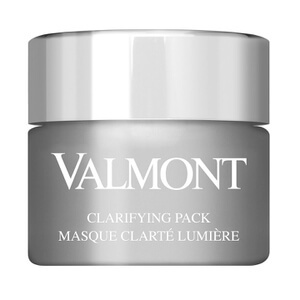 Packed full of illuminating ingredients, the mask is able to visibly transform a dull complexion. The formula effortlessly smoothes over skin, encouraging exceptional results in less than ten minutes. Surface cells are eliminated and skin boasts a new radiance. Once or twice a week, apply a comfortable amount of the product to perfectly clean skin, avoiding the area around the eyes. Allow to set for 10 minutes at most. During the final minute, wet the face and massage the product into the skin for even more radiant results. Rinse with water or a damp cloth. Tone and protect the skin with the appropriate treatment.